62 km of skate and classic tracks groomed to perfection. 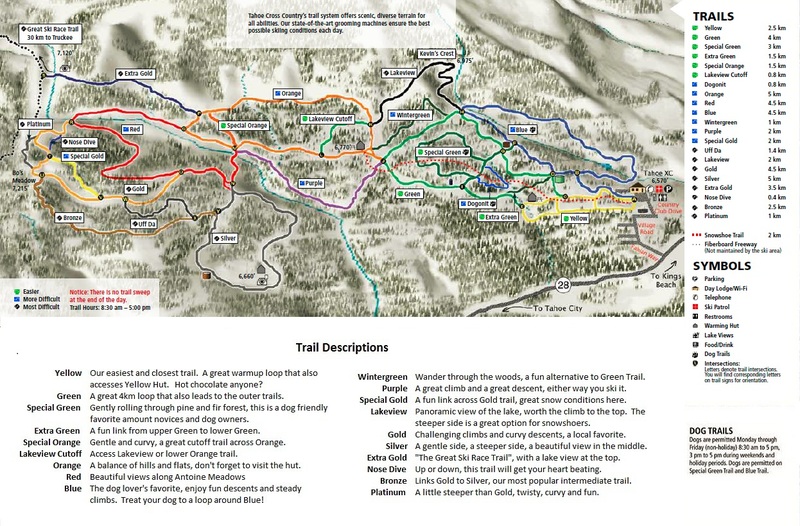 21 ski trails and 1 snowshoe trail through forests and meadows to stunning views of Lake Tahoe. 3 trailside warming huts with picnic tables, hot chocolate and tea. 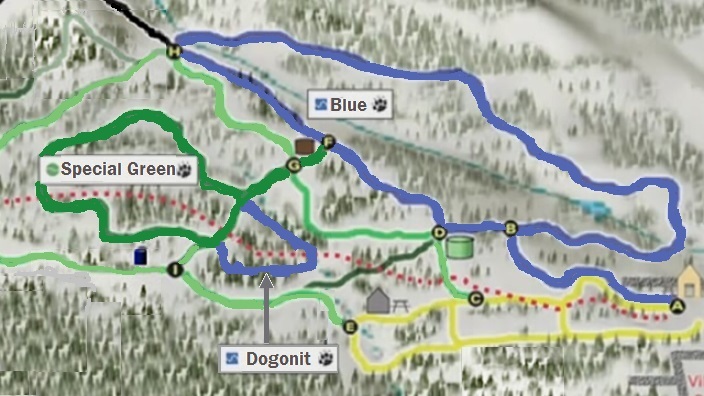 8 kilometers of dog-friendly trails for the entire family! Our Dog Friendly Trails, Ruff!